We are pleased to announce that the Committee approved two submissions for Special Projects Status and each of the projects were awarded TLS Special Projects Financial Grants. 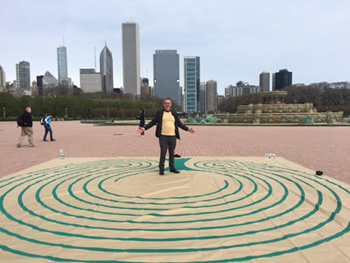 For more information on his project visit his website "Labyrinth Around America" or visit “Labyrinth Around America” on Facebook. The second project is spearheaded by Chris Blom in Wisconsin. 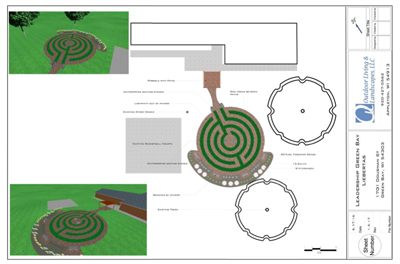 Working with Leadership Greenbay and the Libertas Treatment Center, Chris is working on building a healing labyrinth (Libertas Labyrinth Project) at a local non-profit substance abuse rehab facility. The project is currently in development and the attached plans show the depth of the project. The Special Projects committee consists of Paulianne Balch-Rancourt, Harriette Royer, Diane Terry-Kehner, Maia Scott, and Carol Maurer, with input and assistance from Kay Whipple and David Gallagher. For more information on Special Projects visit https://labyrinthsociety.org/special-projects or email Carol Maurer.